Laurene's Custom Art – Hire me to create art for you! We have had a series of unfortunate events. In one such event, the irrigation water from the pasture flooded the barn where the fleece was stored and ruined all but 2 bags of fleece. It’s gone. 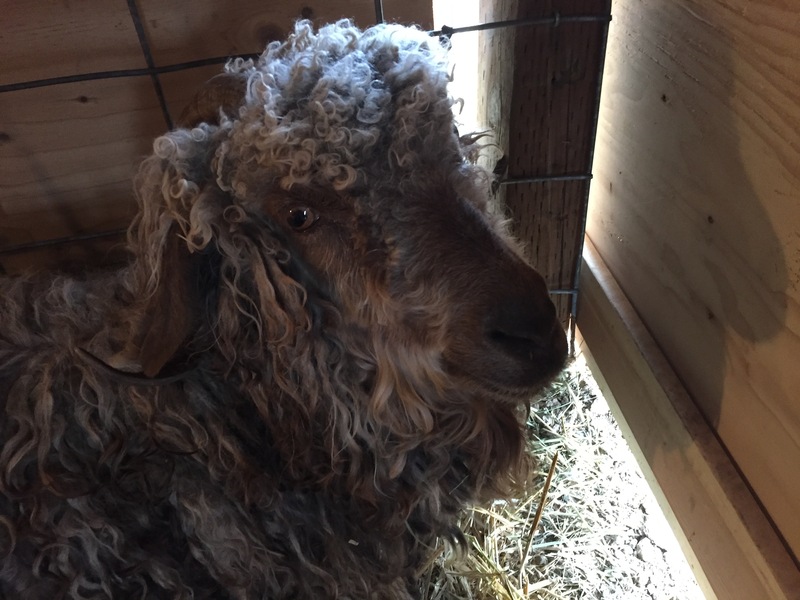 Furthermore, our herd matriarch, Mocha, has passed away. She got her head tangled in a tarp and strangled to death. She was already dead when our son found her. There was nothing we could do. Please pray for us as we assess our situation and make decisions about the future. Thank you for stopping by. God bless you. 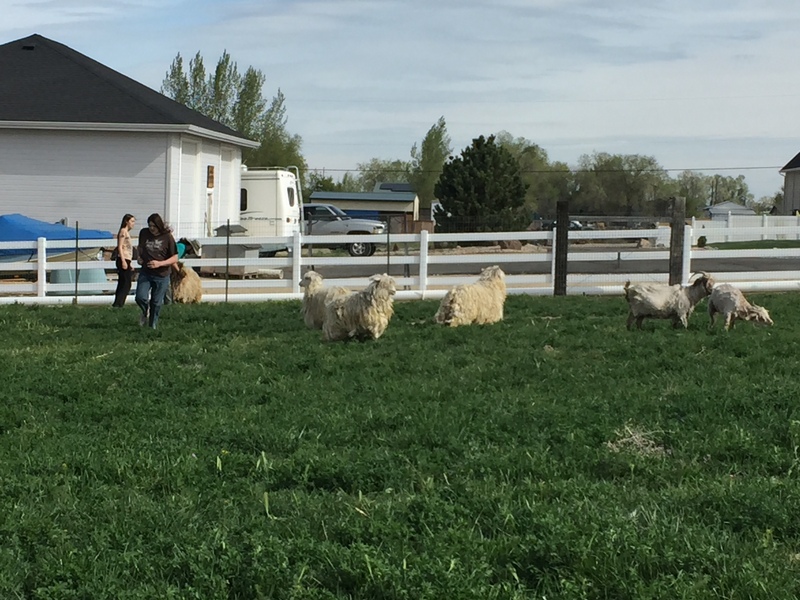 Shearing day happened in April! Life has been so busy! We don’t have weights yet so I haven’t added the fleeces to the menu, but we DO HAVE 2018 fleeces! 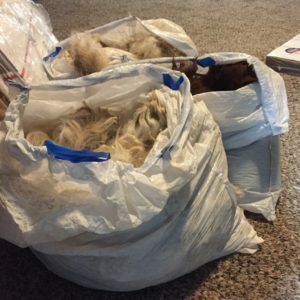 They are full year fleeces again, because winter hit us 2 months early last year and I didn’t shear them in September (it was already below freezing at night!). We have the new baby fleeces from the twins, as well as fleeces from everybody else. Please message me if you are interested. 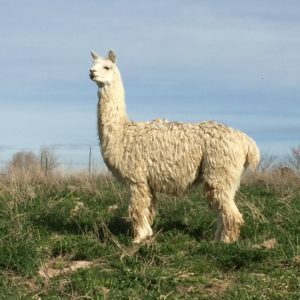 Angora goat, white suri alpaca and reddish brown huacaya alpaca. 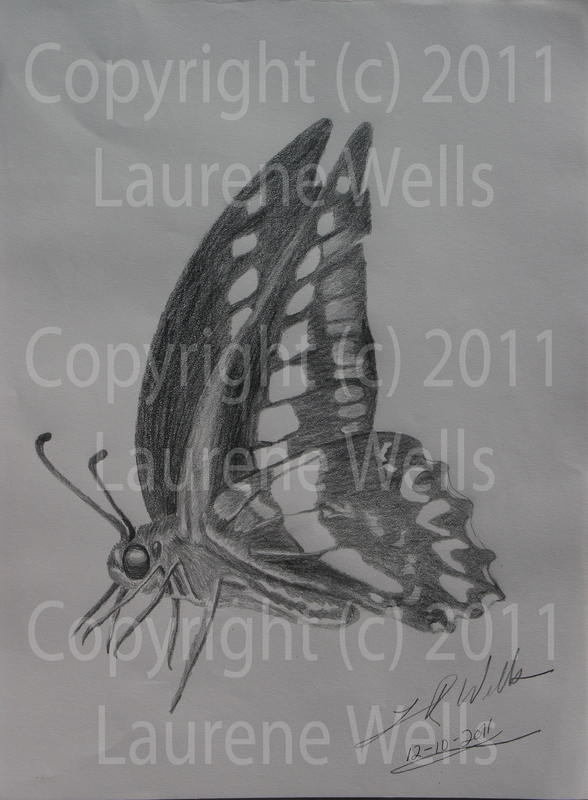 In 2011 I set out to give all my closest friends and relatives one of my drawings as a gift. I didn’t have money to buy expensive presents, and didn’t want to make some cheap craft that would break in the first week. I wanted my gift to be meaningful to that person, and something that would last longer than a week hopefully. 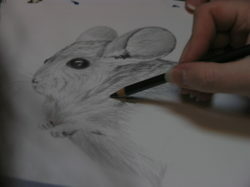 Drawing animals is something I can do. So I tried to find out each person’s favorite animal or got a picture of one of their pets, and drew a picture for them. One gift never made it to the recipient, my youngest brother. It got stolen in the mail in Alaska. 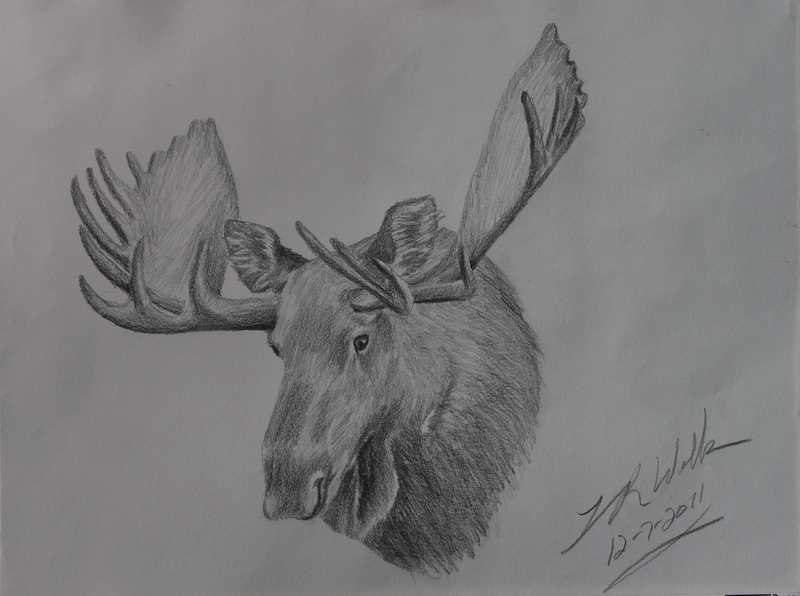 I drew a picture of a Moose for him because it reminded me of Alaska and because my brother enjoyed hunting and I thought he might like a moose for his wall. This photo that I took of the drawing before I mailed it is the only record I have of the drawing. I wish my brother had gotten to see it, instead of the theif at the post office who stole his Christmas present. By the end of 2011 I had created over 50 drawings for friends and family. It was by far my most intensive art creation month before or since. I poured a lot of creative energy into that Christmas. There were no two drawings alike. All were original, one-of-a-kind drawings chosen specifically for that recipient. After my experience with the drawing being lost in the mail, I send all artwork certified mail with signature required now, to make sure it gets to the intended destination. This is why I have a shipping and handling charge for drawings that are not delivered in person, to make sure as much as possible within my power to make certain the drawing will arrive safely. Do you have someone in mind that would like a unique work of art for a gift this year? I’m not able to be near my Grandma for her birthday because we are separated by 2000 miles. Wish I could be there with her today. 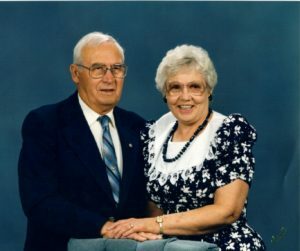 In honor of her 89th birthday today, I offer everyone a 50% off discount when you use code: Grandma at checkout. This coupon code is valid through the end of August, 2017. Thank you for shopping my art store! I look forward to creating a drawing of your beloved pet or favorite animal, or whatever it is you want me to draw. God bless you. And Happy Birthday Grandma! Modern Art in the Making is up for auction again. http://www.ebay.com/itm/-/112426450852? I’ve been drawing for as long as I can remember. Mostly I draw animals, but sometimes I draw other things too. For a period of time my uncle encouraged me to design new cars and I would draw conversion vans and cars and trucks and imagine that someday someone might build them. In high school I took an art class where I learned how to improve my shading, and spent most of my time drawing animals again, fish, birds, deer, horses, and once one of my classmates joked that all she could draw was a polar bear in a snow storm (white on white – no drawing required!) so I drew a picture of a polar bear and her cub as a joke. I do like to have fun with my art sometimes. I had some of my artwork displayed in restaurants for sale, but people didn’t really buy it, and the waitresses put it on the tables where food got splashed on it, so I pulled my drawings out of the restaurants. I even have a drawing that was hung in the Idaho State Senator’s office for a year. Once it served it’s time however, no one actually bought it after it became available for sale. I’ve always had trouble selling my artwork. People tell me how wonderful it is, how they wish they could draw like that, but they don’t buy my drawings, not often anyway. I’ve sold a few commissions to people of their own pets, and I greatly appreciate that support of my work. I also really enjoy making people happy with my art. I love presenting people with the drawing that they asked for and seeing the look on their faces when they hold it for the first time. I have tried many different methods of trying to sell my artwork. Back when my youngest child was a baby, I was trying to find a way to sell my artwork online. I came across Sotheby’s auctions and tried to find out how I could get my artwork into an auction. It turns out artists are not allowed to submit their artwork for auction, ONLY Art Collector’s are allowed to auction artwork. This seems idotic to me, and absolutely is irritating. The only people making money in art are the collectors, the artists get zilch! I kept thinking there has got to be a way, so I kept searching to try to find a way to get my art into an art auction. I came across an auction of a painting that was two colors. It was blue on one side and yellow on the other. It was “cleverly” titled “Blue and Yellow,” and this painting sold for $17 million dollars. Yes. Million. And yet I was not allowed to put my detailed drawings of animals up for auction under any circumstances. I was so mad! My three year old could paint better than that! I was so angry about it that I drew this painting of a Chimpanzee painting at random on a paper taped to the wall. I think Chimps would paint more creatively even than that $17m painting of blue and yellow. 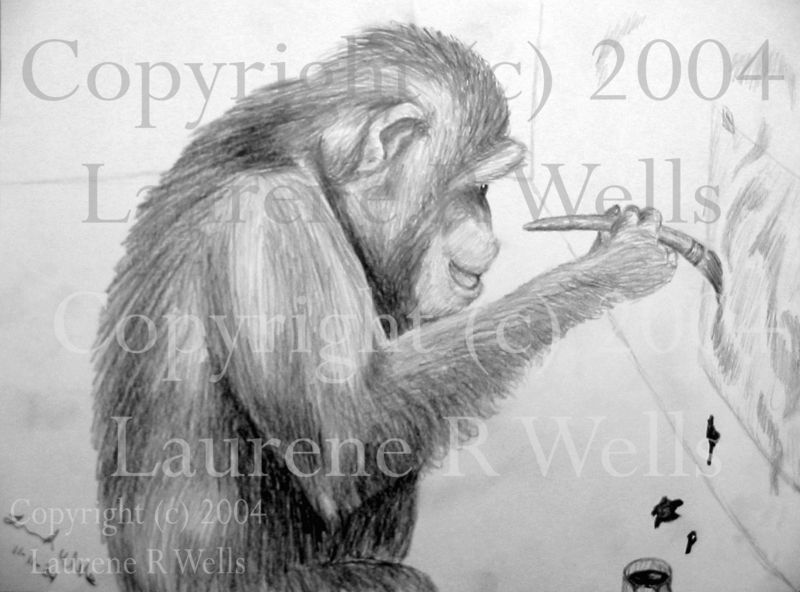 I tried to auction my chimp drawing on Ebay, but it did not sell. It has been framed, but the glass and the frame itself also broke, so it needs to be framed again. It has some minor damage to the edges, and one corner is folded. Overall though the drawing is still in good condition. A lot of things did not survive our move to Idaho, and my drawings are a bit worse for the wear. If I could get even on tenth what the “Blue and Yellow” sold for though at auction, it would solve most of our money problems. If I could get half that much, I could fund my game development team full time. That would be an amazing miracle. Right now though, I would settle for $800 because the sterotype of “starving artist” is a little more true than I would like it to be and we have bills to pay. So, the Million Dollar Chimp is up for auction again. It is 10″ x 13.5″ on standard drawing paper. Who will buy him? This is a charity auction. A portion of this sale will benefit Mercy House International to help women who are worse off than I am have a chance for a fresh start in life. Mercy House International offers a safe place for women and children escaping domestic abuse. When I was a child I used to look at the pictures in the Encyclopedia Brittanica (we didn’t have the internet back then) and some of my favorite pictures were of the dolphins and orcas. All I had available was a regular #2 pencil and regular paper, but I would look at those pictures and create my own drawings of them. After many iterations of these drawings my Mom bought me some tracing paper, and that helped me learn how to get the shapes right. In high school I had an art teacher who taught me how to get the lights and darks of the shading right. 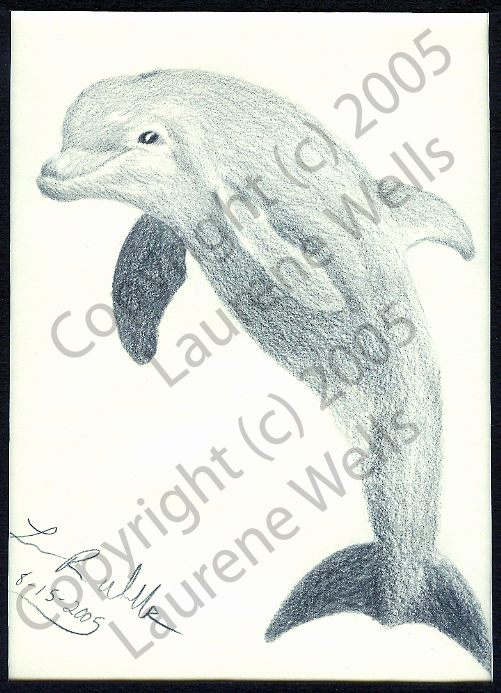 I drew this picture of a dolphin in rememberance of those days when I used to copy pictures of dolphins out of the encyclopedia. What is your favorite animal? I have trouble choosing a favorite, I like so many of them. They all have their own unique personalities and traits. I do love horses but have never been able to own my own horse. I love my chickens and ducks and goats and cats too. 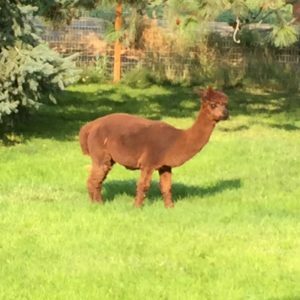 The alpacas are comical though standoffish, and even the dog can be entertaining sometimes. I have one friend who loves giraffes, and another friend who loves frogs, and yet another friend who loves orcas. They are all so interesting! I love that God made so many beautiful and amazing creatures for us to enjoy. I would be happy to create a drawing of your favorite animal. Tell me what you like about them in the comment section at checkout. God bless you. Grand Opening Sale ends Today – Special Offer!!! Thank you for taking the time to visit my new online art store. I’m so glad you are here! Today (5-21-2017) is the last day of the Grand Opening sale. If you wanted me to create a custom drawing for you or for a loved one, today would be the best day to get a great deal on commissioned artwork. I will offer a 17% off coupon – on top of the sale price! – to the first 5 orders placed before midnight tonight. USE CODE: Grand17 at checkout. What would you like me to draw for you? About the featured drawing: I drew this angel after experiencing a powerful vision during our nightly prayer time. 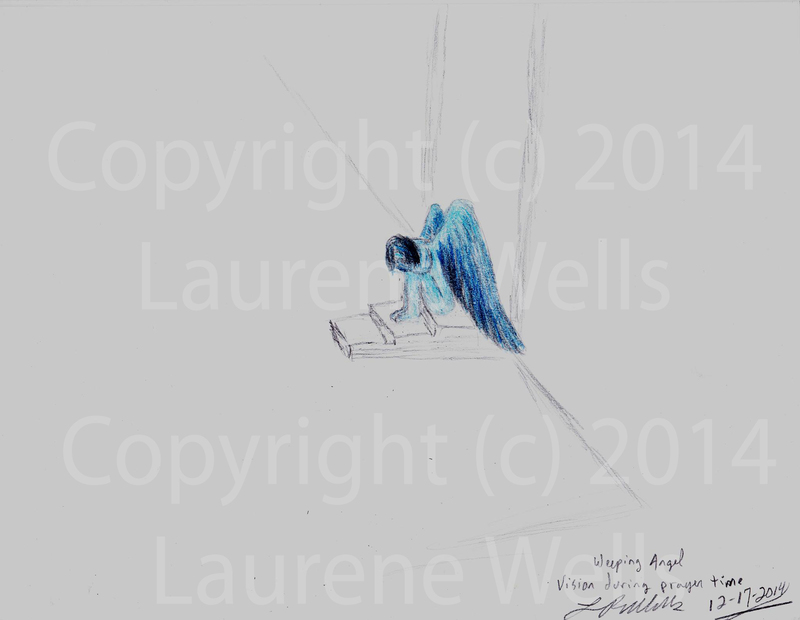 I saw this image of an inconsolable angel that was blue with sorrow. I kept expecting the angel to stand up and spread its wings in praise to the Lord, but it just sat on the doorstep weeping and weeping in the most heart-shattering sorrow. I have seen visions of angels several times, but this was the only one I ever saw in color like this, and the only one I ever saw that wasn’t standing tall praising the Lord. When something so terrible happens that it makes the angels cry, it is very sorrowful indeed. The Bible promises us in Psalm 30:5 though that weeping may endure for a night, but joy cometh in the morning. I’m looking forward to that spiritual morning when joy fills our hearts once again, as it has been a very long night. My first week online is coming to a close. Do you have a special occasion to celebrate that a truly unique gift would make it spectacular? Perhaps you have a place on your wall that needs a custom drawing to finish out your decor? Now is the best time ever to commission a drawing from me! It’s easy! Just choose the size of drawing that you want, and after you complete your order from the shopping cart you will have an opportunity to describe to me what you want me to draw. If you have a photo of the subject you can email that to me, or you can just describe what you want me to draw and I will find something that I think you will love. I have some time available still this week to complete drawings, so I should be able to get your order shipped on Monday or Tuesday if you order right away. Each drawing is one-of-a-kind. They make great graduation, birthday, anniversary, and wedding gifts! What would you like me to draw for that extra special someone in your life? My thanks to a very special vet! We bought 8 baby ducks for our kids for Easter. Yes, I like them too, they’re just as much for me as they are for the kids. But the kids picked them out. We got two Buff ducks, two blue Swedish ducks, and four Khaki Campbell ducks. One of the Khaki Campbell ducks got a swelling on her face, her name is Precious. We called and called to try to find a vet that would treat ducks. After a dozen calls we finally found one half an hour away, two towns over. Turns out she’s one of the best exotic vets in the valley, she has experience treating eagles, seagulls, cranes, and all manner of creatures. She even did a C-section on a guinea pig once. She drained the abscess and sent us home with some antibiotics and instructions to watch it and make sure it didn’t swell up again. Precious did great for the 5 days she was on antibiotics, but a couple of days after the antibiotics wore off, the swelling started coming back. We did everything the vet told us to do, but still it got worse and worse instead of getting better. I sent photos of the swelling to the vet in texts and told her that she was starting to have trouble breathing. I explained we’d already spent all our money on the first visit and asked if there was anything else we could do. She had us bring Precious back in for another visit, said she wouldn’t charge us as it would be a follow-up. She took X-rays. The swelling was invading the nasal cavity, and that’s why she was having trouble breathing, and probably having trouble eating too. She needed surgery. This would be a very dangerous surgery mainly because birds don’t respond real well to anesthesia, but also because the swelling was in her nasal cavity so there was danger associated with that. She needed her best assistant to do the surgery and that couldn’t happen for several days. There were expenses associated with this surgery that we couldn’t afford, and she knew that. I was so worried that we were going to have yet another bill we couldn’t pay, or just not be able to do it and Precious would have a short life due to that swelling on her face. She talked to her employer and they came up with a plan that would allow Precious to have the surgery anyway. I was so thankful!! I got an idea while we were standing there in the office. I asked the vet what her favorite animal was. She said her favorite was Red Tailed Hawks, she loves raptors. 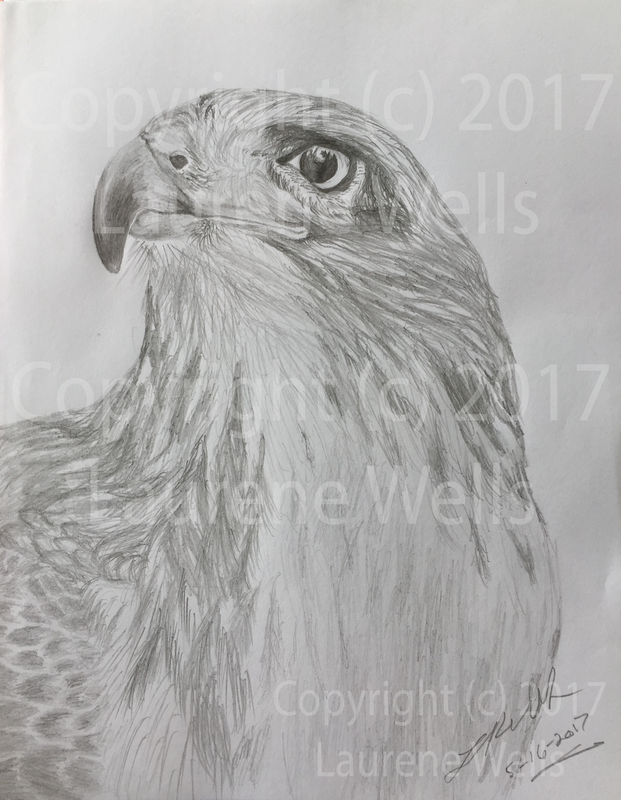 So while we waited for the surgery day to arrive, I looked at pictures of Red Tailed Hawks for reference, and drew this piece of art as a gift for our most amazing vet. Precious is home and recovering now, and doing well. I’m so thankful for the Lord’s provision for us, and for our little duckling. I hope the work of my hands is a blessing to the vet who helped us as well. Thank you for visiting my art store! I would love to create a one-of-a-kind drawing for you or someone you care about.